We’ve just released a free upgrade to our future.dj pro – version 1.4.5. 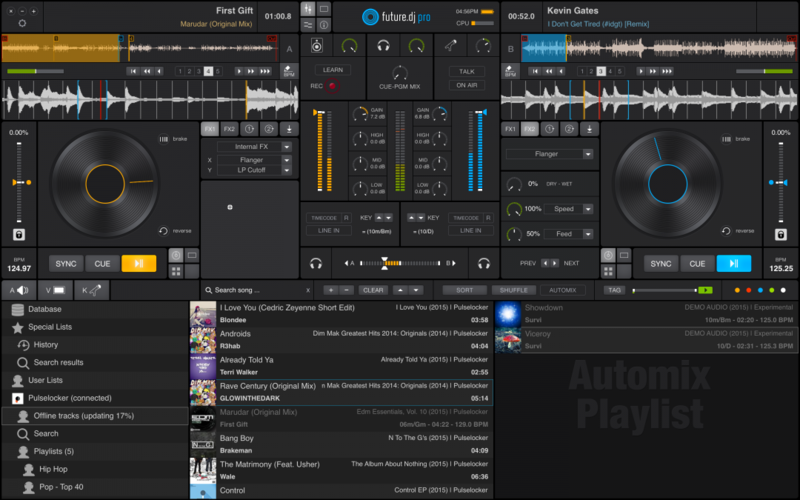 There are lots of improvements to the Pulselocker integration and also 7 new DJ controllers natively supported. To upgrade simply download and install the new trial version. If you bought from the MacAppStore the update will appear shortly.